This page shows the latest Plendil news and features for those working in and with pharma, biotech and healthcare. 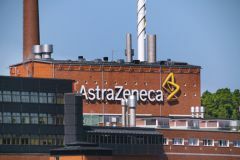 AZ will purchase rights to several Merck products, including the Crohn's Disease treatment Entocort, and blood pressure dugs Atacand, Lexxel and Plendil. $223m royalties. $142m. 1.6. Cardiovascular 2016. China Medical System. Plendil China.